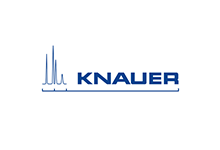 KNAUER is one of the pioneers in the field of osmometry and known for its reliable and user friendly instruments for many decades. Our newest freezing point Osmometer K-7400S allows the easy and fast determination of the osmolality of various aqueous solutions. In addition, the freezing point depression of such samples can be measured. The proven technology of freezing point determination in combination with the robust and intelligent design of the device allows fast and reproducible measurements. The instrument is equipped with a peltier cooler and an integrated microprocessor controlling the automated measurement. The freezing point Osmometer is a standalone device that optionally can be equipped with a printer. Furthermore, the device can be controlled via the EuroOsmo 7400 software. The software automatically plots the temperature curve for each measurement and calibration and allows saving of the measured values. In addition, the data can optionally be exported into various file formats for archival storage. The K-7400S Semi-Micro Osmometer complies with the European Pharmacopoeia for osmolality (2.2.35, 01/2012).